I've been curious about the streetfood scene in Kuala Lumpur eversince I attended the World Streetfood Congress 2016 which was held in Manila last April. The flavors was really awesome and I know that it would be moreso if I go to its country of origin. 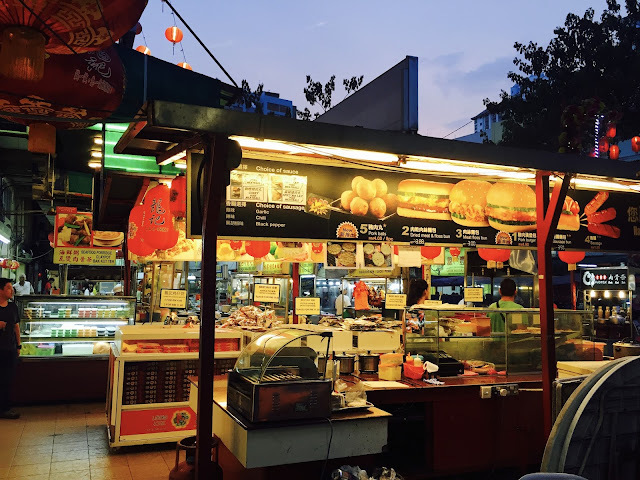 So here I am at Kuala Lumpur's famous Jalan Alor Streetfood Market (warning: don't read with an empty stomach) and having the time of my life relishing the sight and smell around me. It was around 6pm when we arrived at Jalan Alor and the place is just waking up and getting filled with diners. 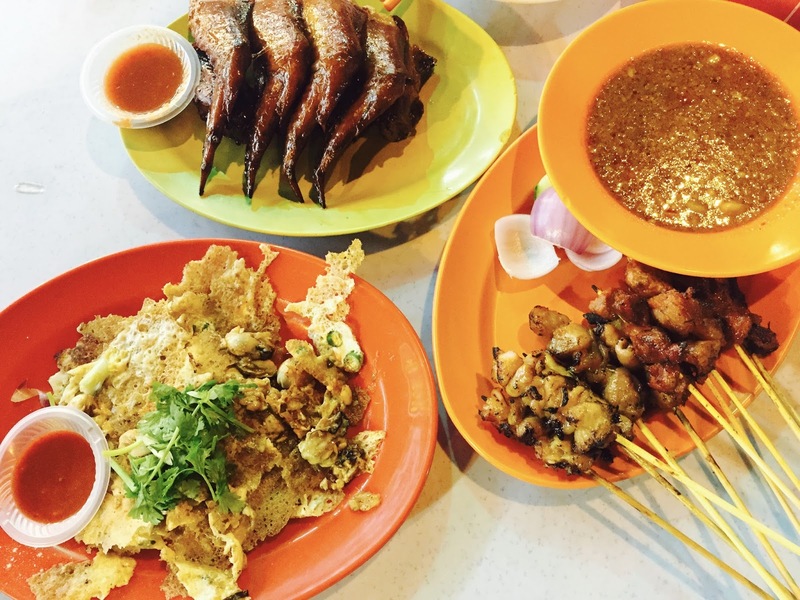 Jalan Alor is the foodie destination in Kuala Lumpur. 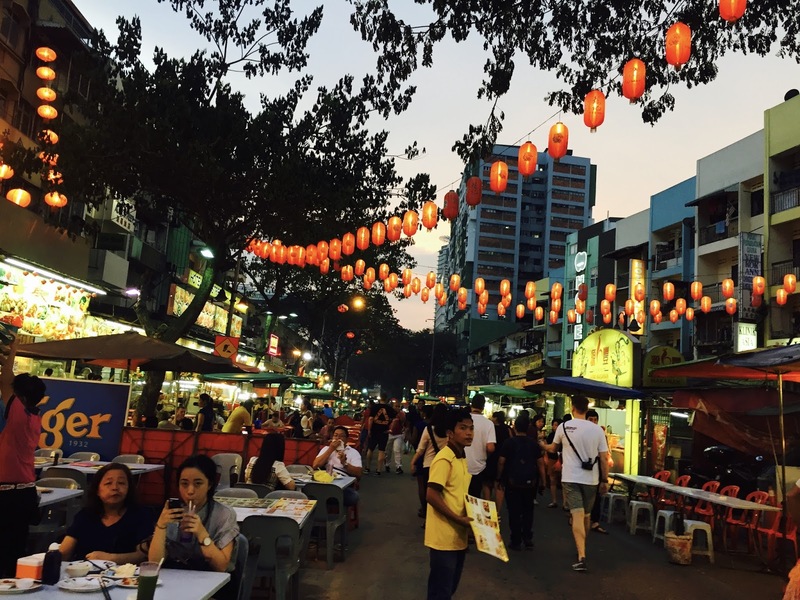 The long stretch of road is filled with hawkers, restaurants, and convenience stores. There are also food choices from neighboring countries such as Cambodia and Thailand. I've read somewhere that there's a Filipino food stall but wasn't able to see it. 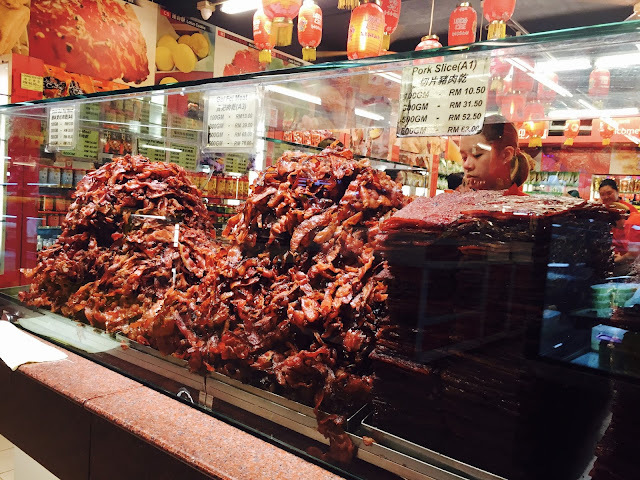 Mouthwatering pork and bacon slices. This is a popular "pasalubong" from KL. Cost is just the same if you buy it from the streetfood seller or in the mall. The one in the mall has a lovely packaging though. As for taste, I can't compare since I only tasted the ones from the mall but the sellers are nice and generous in giving a "free taste" slice. If Baguio has Carrot-man, here in Jalan Alor they have Dimsum-man. This guy is so popular with tourist when it comes to photo-ops! 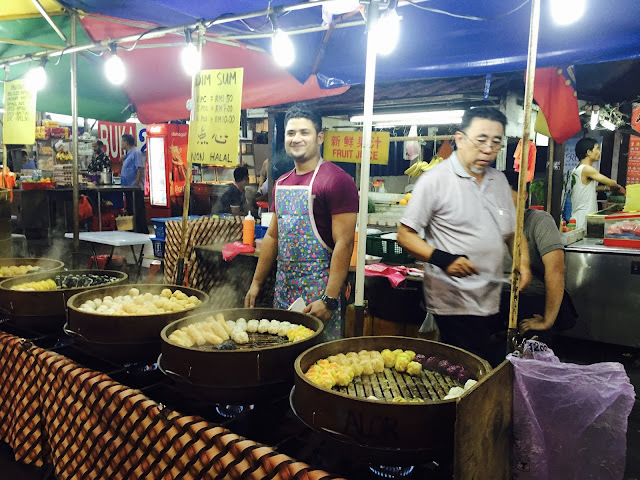 He sells super huge dumplings that costs RM1.5 each. Yum! 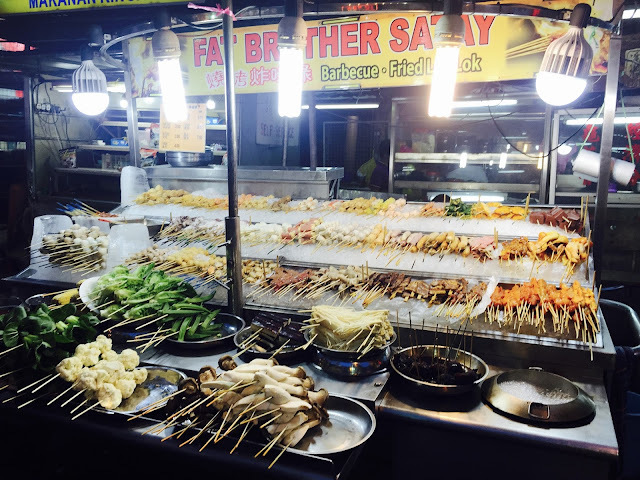 Here's another streetfood stall with more than several choices of satays. And here's what we ate ... after checking almost all of the food stalls. BBQ Chicken Wings, RM3.00 each. 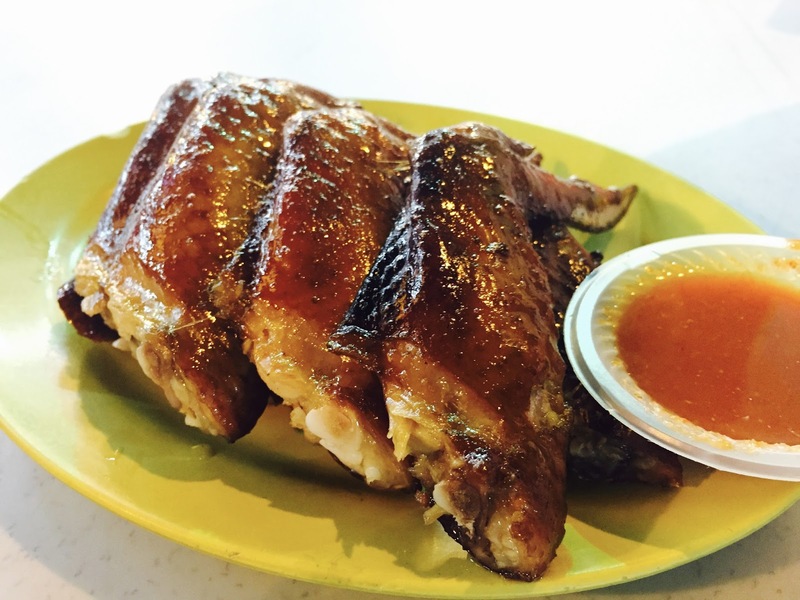 These chicken wings are one of the most popular streetfood fare in Jalan Alor. It doesn't taste like our usual chicken bbq because of its texture is similar to that of a roast duck. The skin is crispy but the meat inside is flavorful, juicy, and tender at the same time. Skip the spicy sauce. Rice please! Oyster Pancake, RM5.00. Taste ok but not that memorable. 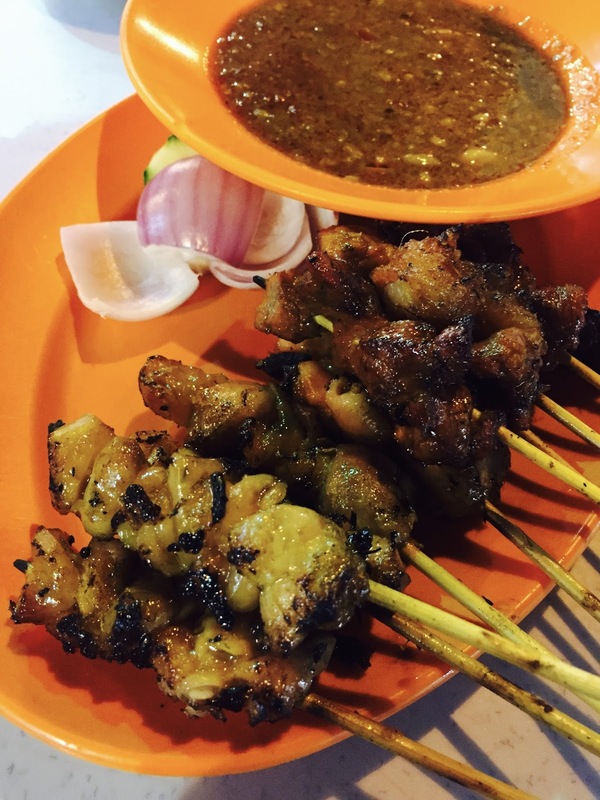 Chicken and Beef Satay, RM10 for ten sticks. Love this although I find the meat pieces too tiny. I also prefer the beef satay, and it does tastes better if you soak the meat pieces in the peanut sauce. This Phad Thai is love! Cost RM7.50. Or maybe I'm just craving for some carbs- hahaha. It has a generous amount of seafood also. It has the right spiciness for someone who's not fond of spicy food like me. But you have to tell the waiter because you might end up shedding tears while eating your phad thai. Yes, that spicy! And here's us, while waiting for our other orders to arrive. Btw, bottled water is cheaper if you buy it in the convenience store. A liter of bottled water costs RM3.00, and we just asked for glasses. 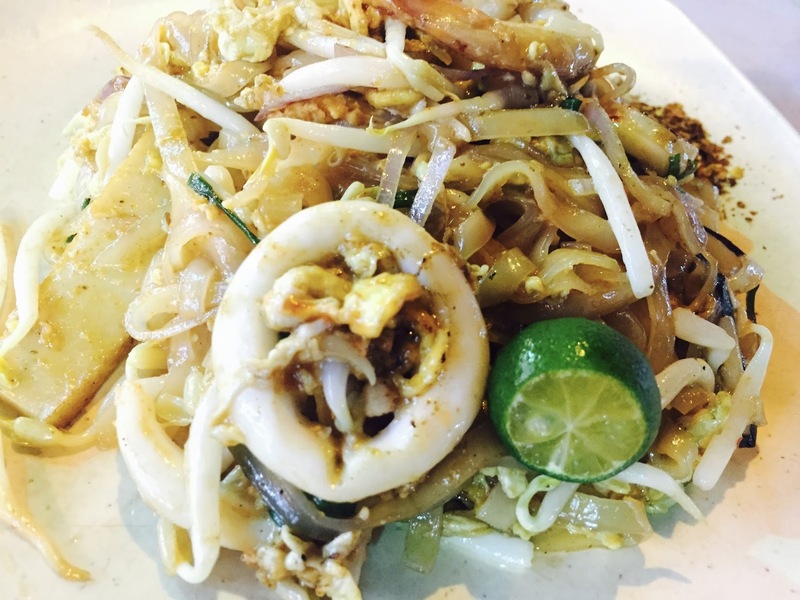 I am not a big fan of Malaysian food, but their version of Pad Thai looks really good. That Pad Thai was indeed delicious. 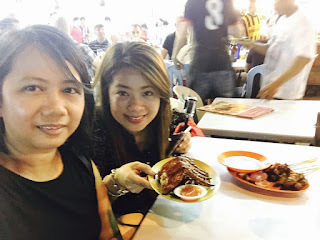 We did plan to bring some home to Manila but wasn't able to go back to Jalan Alor. How lovely! The first photo looked so good, I can almost eat it. Haha! I want to try the dimsum from dimsum man! Not because of him. :) But I always see small steamers in PH and the big ones are so refreshing. Hakaw is my fave. buti na lang i ate dinner na before I hit your blog :) hehe! That's why there's a "warning" ;) hahaha. Nakakagutom, right? The food looks sumptuous! I want to have those huge dumplings! 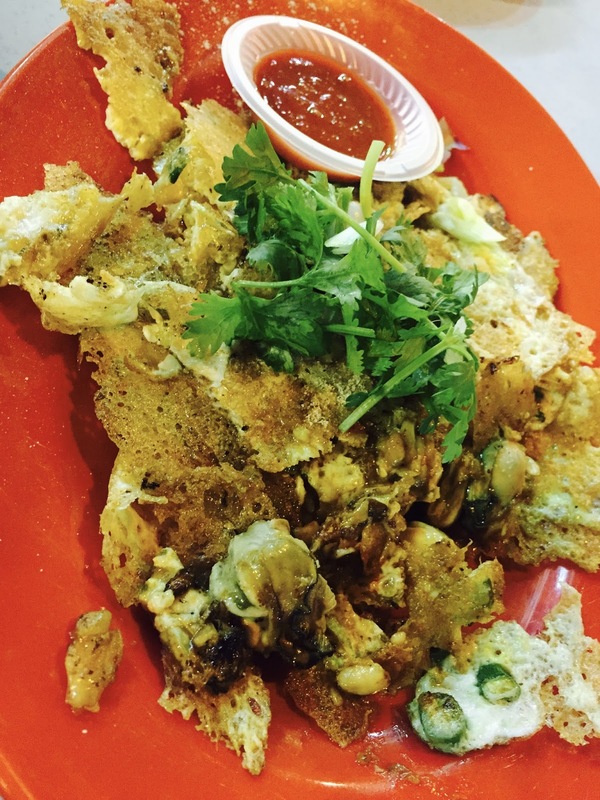 I tried some street food in Thailand in the past but was not able to try these in KL when I visited. I'll make sure I try these food when I come back! The Phad Thai looks good!! Nakakagutom. Hahahaha. Hmmm. Let me schedule a trip to KL. lol! Food is just a mood shifter. Thanks for sharing! 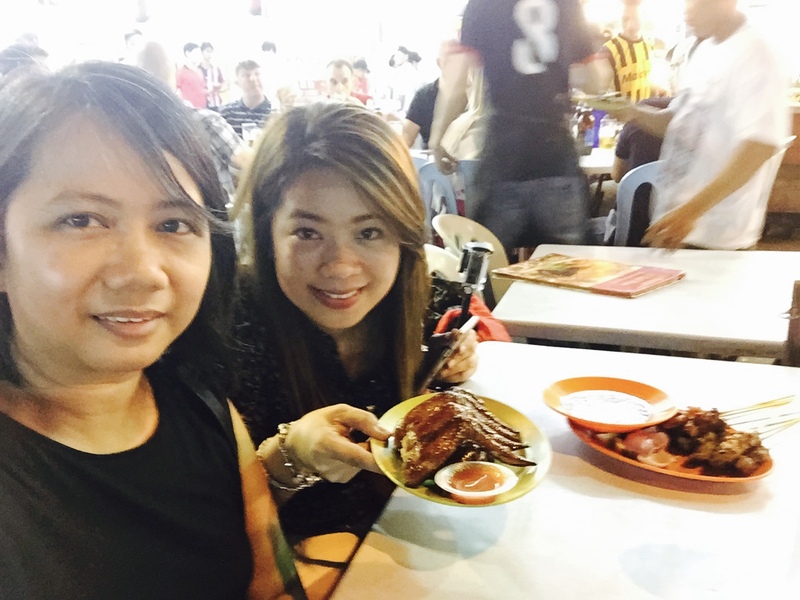 The same place we had our first dinner when we reached Kuala Lumpur two years ago. Ihihi. I love the busy street and the food everywhere. Ihihi. Oh my gosh! Your post just made me wanna go to KL as in now na!!! I love love love streetfood! Bacon slices! Out of all the food you posted here, I'm most curious with the wings. And the Dimsum Man's a great marketing strategy ha. Yay I wish we could visit Kuala Lumpur soon. I want to taste everything you've posted here.